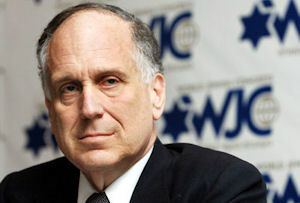 The following opinion article by the president of the World Jewish Congress was first published by the German newspaper Die Welt on 21 June 2011. Are the Palestinians ready for their own state? The Palestinians are forging ahead on the diplomatic front. They are pressing the UN General Assembly to recognize a unilaterally-declared state within the 1949 Armistice Lines, without pursuing bilateral peace talks with Israel. The quest of statehood pursued by a people is all too comprehensible. Yet ambition and determination won’t be enough. History teaches us that a number of important conditions must be met for a state to succeed. A state has obligations toward its own people as well as to its neighbors and the international community. During the 1990s, in a number of bilateral agreements witnessed and brokered by Americans and Europeans, both Israel and the Palestinians committed themselves not to take any unilateral steps but to pursue a solution of the conflict through negotiations. The stated aim was to achieve a lasting peace under conditions acceptable to both sides. Now, the Palestinians are showing that they didn’t mean what they pledged. To function properly a state needs a clearly defined and transparent structure. It must have sovereignty and control over all state matters, especially the police and the armed forces. No democratic commonwealth can flourish on the matrix of continued conflict between warring paramilitary groups or based on Hamas-style rule like in Gaza, and the rule of law cannot be implemented where there is a brutal clampdown on political opponents. States have an obligation to protect human rights. In many Arab countries people are rebelling against authoritarian regimes which have deprived them of liberty and security. It is not just in Syria that people are witnessing how a small clique abuses state power to further its own interests and to repress its own people. However, the Arab Spring and the uprising in Iran two years ago show that such authoritarian regimes are in recession. Therefore, the West must not support any emerging state that does not give credible assurances – both in words and in actions – that it will uphold and defend democracy, the rule of law and civil rights. Moreover, for any state to be accepted by its people it has to offer perspectives leading to economic prosperity. A political entity that depends entirely on external support will not have any legitimacy in the long run. Currently, the Palestinian economy is, broadly speaking, dependent on the customs union and monetary union with Israel, the massive support by Western donor countries and the range of covert and sometimes illegal financial transfers through which regimes such as Iran and Syria are seeking to influence Palestinian politics. Lebanon should remind us that a viable Palestinian state must be politically independent, lest it become the cue ball of other, larger Islamic countries. This means a Palestinian state needs to have both internal stability and uphold its obligations toward the international community. Such a state can and should only be recognized if it remains committed to peaceful coexistence with all its neighbors. Yet Hamas has already made it clear that it will never accept Israel’s right to exist. The question is: does the planned state of the Palestinians, for which they are currently seeking recognition, meet these criteria? Put differently: are the Palestinians ready to have their own state? It is easy to daydream, and easy to pretend to the international community that this is the case. But clearly, the reality on the ground is very different. Certain European statesmen should realize that it would a fallacy to believe that a unilateral declaration of Palestinian statehood could signal the beginning of a new peace process in the course of which everything will somehow fall in place. It is just not good enough to take at face value the supposed good intentions put forward by Palestinian leaders. The crucial questions are: Would a Palestinian state function well? Will it be able to provide its citizens with freedom and security? Will it be economically and politically viable and independent? Will this state be at peace with its neighbors, and in particular, will it recognize the right of the Jewish people to its own nation-state as Israel recognizes the right of the Palestinian people to a state? The answers to these questions are sobering. Economically, billions of dollars in foreign aid will be needed to get the infrastructure in the Palestinian territories up to scratch. How much of that money would be wasted because of widespread corruption is unclear. Moreover, there is no real civil society and no reliable political process through which government activities could be checked effectively. The two major political groups Fatah and Hamas hate each other, and Hamas is rightly considered in many Western countries as a terrorist organization. But can a Palestinian state function if one of the main political groups in it is a terrorist paramilitary movement combatting Israel and political opponents with weapons? If the United Nations were to recognize such a state it would publicly disown its own founding principles. For Israel, recognition is not an option for reasons of self-protection. Nobody questions the right of Palestinians to get their own state following an orderly process. However, their attempt to push through the establishment of a state through the back door, by avoiding direct negotiations with Israel, must be emphatically rejected by the international community. Nobody can really be interested in a ‘failed state’ in the heart of the Middle East. Given the circumstances, the eager efforts by the Palestinians to achieve statehood against, instead of with, Israel are unlikely to be successful. Alas, one must therefore conclude that the Palestinians are not yet ready for their own state.